Think of your HVAC unit as a car in need of an oil change. You wouldn’t want to let your vehicle go very long without making sure the oil has been changed or else you may find yourself walking. Well your HVAC system works in the same way. In order to be sure that your system is functioning at its best, you should be sure to maintain it properly. 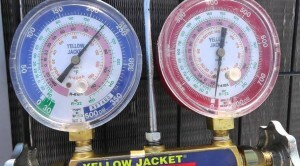 If you have regular Tune-Ups, generally twice a year, it will go along way in preserving your system. A thorough tune-up will include inspection, cleaning, and service. The technician will begin by inspecting your equipment, looking for signs of wear and tear. Even if you diligently change or clean your air filters it is still important to have a comprehensive cleaning, this will increase efficiency, which directly impacts energy costs. If your technician finds an issue, they can diagnose and fix the problem before it causes serious damage later on. Your technician will check your system for any leaks, low refrigerant, drain issues, or anything else your system may be lacking in. As you can see spending a little money for regular maintenance can save you a lot in the long run, by ensuring your system is running at Peak Performance. If you sign up for a maintenance contract, you can receive these two visits per year at a discounted rate, discounts on parts and priority scheduling.